On Monday we hosted a whole passle of kiddos at our new house for a play date and later that night I joined up with some girl friends to watch The Bachelor Finale (note: I was all the way #teambecca, but honestly after seeing him and Whitney and reading some stuff online they seem pretty legit)! 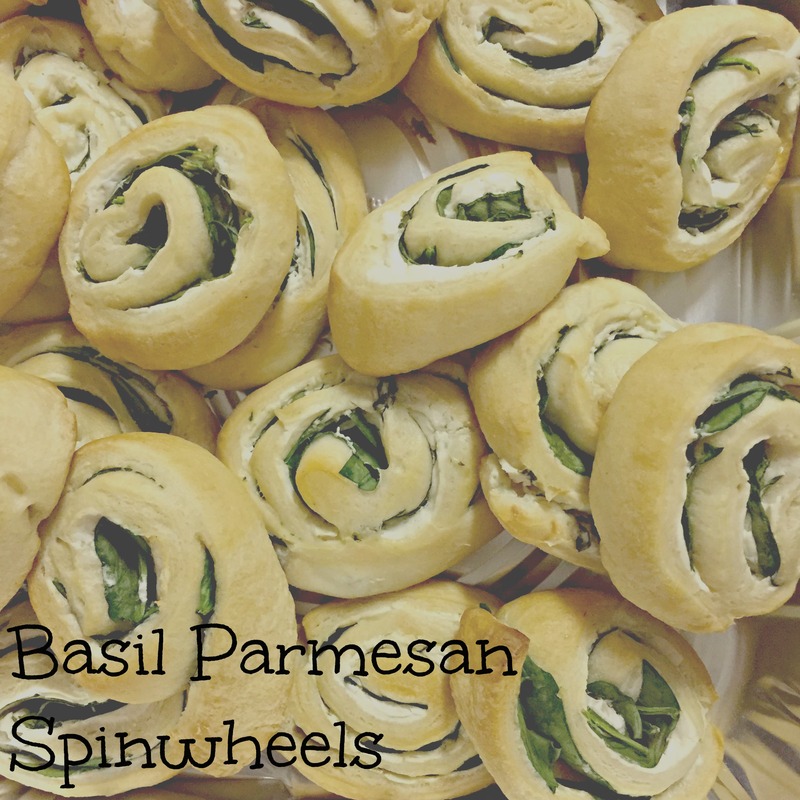 Along with some veggies + hummus I was able to pop these yummy Spinwheels in the oven – not only did the mommies love them but some of the babies liked them too! So here you have it, a super simple, quick and easy recipe based off of your traditional tortilla-cream cheese spinach pinwheel. Fold chopped basil, garlic, parmesan, and salt and pepper to Greek Cream Cheese until evenly distributed throughout the entire mixture. Spread a thin layer of your cream cheese mixture on to your crescent roll dough using the back of a spoon or small spatula. Lay baby spinach leaves in a layer on top of the cream cheese. Roll up your crescent roll dough + cream cheese + spinach. Cut your crescent roll log into 1/4 inch – 1/2 inch slices and lay flat on a baking sheet. Bake for 11-13 minutes in the oven, let cool, and enjoy!